What is it like to have one of most uniquely rare children in the world? Breathtaking. Terrifying. Life changing. My son, Johnny, was born in 2015 as a red-headed ball of cuteness that my husband and three-year-old daughter could not get enough of. Little did we know at that time what was lurking around the corner. When he was four days old we received a call from our pediatrician that no parent wants to receive. 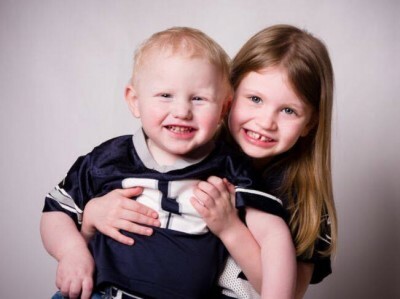 Johnny’s newborn screening had come back positive for Maple Syrup Urine Disease (MSUD). The news stopped me in my tracks. I scooped Johnny up, held him and sobbed as I called my husband to come home from work. We needed to get to the Children’s Hospital immediately. My husband, John, and I had no idea what this diagnosis meant for our little man. In the coming hours we learned that MSUD is an inborn inherited disorder of natural metabolism where Johnny’s body cannot properly break down the branch chain amino acid, leucine. John and I both had to carry a specific gene for Johnny to have this condition. If MSUD is not diagnosed within a matter of days, it is fatal. MSUD meant an insanely strict diet of fruits, vegetables, medical formula, and specially-made medical foods for the rest of his life. We would now be counting the amount of leucine in every gram of food Johnny ate and getting weekly blood draws to ensure he was stable. John and I—and the rest of our family and friends—had just begun coming to terms with the MSUD diagnosis and accepting the changes that were occurring in our life when we were blindsided by another diagnosis. Into our hospital room walked another team of doctors wearing masks and protective garments, or precautions as they refer to them. Johnny also has Cystic Fibrosis (CF). Johnny has the most common of the CF genetic mutations, DDF508, which is a blessing and a curse. Cystic Fibrosis affects the way Johnny’s body releases sodium. He has mucus in his body that is thicker and stickier than that of someone without CF. This affects his lungs, pancreas, liver, and digestive system. People with CF need a high protein, high fat diet with special vitamins because they have difficulty absorbing fats. This diet completely contradicts Johnny’s MSUD diet, which prohibits almost all natural protein. The lifespan of someone with CF is currently 37 years old. Not only is this disease chronic, it’s also progressive. From diagnosis day forward, we were not only counting leucine and giving Johnny special protein supplements and formula, but also performing twice daily nebulizer treatments followed by manual chest PT along with administering several new medications. What makes me say that Johnny is one of the most unique children in the world? He is the only person in the world to have both MSUD and CF simultaneously. MSUD affects 1 in 185,000 and there are about 2000 MSUD diagnoses in the US, while CF affects only 30,000 in the US. Johnny’s instance of having both is 1 in 76 million. Navigating his care is not only new for us as parents, but also for his medical teams. Johnny is now a little over two years old and we have been through a lot in these years. A dozen or more inpatient hospital stays, over 450 blood draws, multiple IV placements, PICC lines, NG-tubes, X-rays, liver ultrasounds, clinic visits that range from monthly to every few months, fights with insurance to cover medications and supplements, and the worry that comes along with all of it. But, aside from the rough patches, there are the countless good times we’ve had. Johnny is a ball of energy. 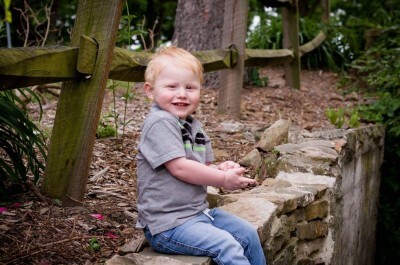 For having two diagnoses that are so different in nature, he is thriving. He is exceeding his milestones and proving that no matter what his medical charts may say, or what his teams are used to, he is going to defy all that. He is the most resilient child I have ever met, as is his older sister, Faye. Faye has proven that having a sibling with complex medical needs teaches children at a young age what inclusion, compassion, and empathy are. It is hard when Johnny is inpatient at the hospital nearly three hours away, and our family is separated for days at a time. It is hard to continually be updating family and friends via phone calls or text messages. There are days when I simply don’t want to respond anymore. It’s exhausting worrying about Johnny’s care plus all that comes with trying to have a “typical” life. I’ve been blessed to have an amazing job that affords me the opportunity to care for Johnny while also being able to work. My husband John, too, has a great employer who has been kind and understanding. Some days the good outweighs the bad, and others, the bad weighs so heavily we can’t see the light at the end of the tunnel. The world of the Rare can be scary and sad at times; but we are a community. I have made some of the greatest friends since Johnny was diagnosed. When we read about another person with CF passing away, we weep. When we read about a new drug to combat CF, we sing praises. When we read about a child with MSUD receiving a successful liver transplant and knowing that child will no longer suffer metabolic crises, we celebrate with that family. When we read about a child with MSUD who succumbed to a metabolic crisis, we cry and hold our Johnny a little tighter. People always ask me how I am and how things are going and I always give the same response, “Today is a good day. We pray tomorrow is just as good,” knowing full well that we truly have no idea what tomorrow will bring for our MSUD CF Warrior. 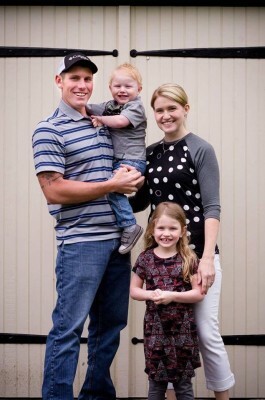 Ashley Bricker and her husband, John, along with their daughter Faye and son Johnny, live in Pennsylvania. Ashley holds a degree in Web Development and Design and works as a Technical Training Designer with a focus in 508 compliance (accessibility on the web) for Early Intervention. When she’s not being a mom, wife, sister, friend and advocate, she enjoys singing and running and is training for her first half-marathon this September.